The direct contribution of the Indian travel & tourism industry to GDP is expected to be over ₹ 6 thousand billion by 2026**. The growing number of tourists every year and the rapid expansion of hotels of international standards leads to a high demand for professionals with the right skills. By 2026, there will be over 29.6 million jobs* in this huge industry. With Aptech’s tourism management course, develop your operational & supervisory skills and prepare for jobs at travel & tourism companies. With this training, you will understand the differences in planning for inbound travel to India or outbound travel to a foreign country. You will also be able to independently plan, cost & coordinate a leisure travel program anywhere in the world. 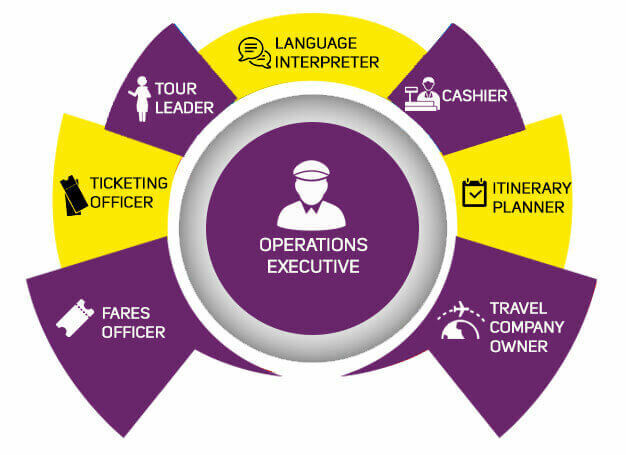 You will be able to provide best fare deals to passengers, and ensure smooth travel for your clients.